If we asked newly-engaged couples how they feel about wedding planning, the answer would most likely to be a mixture of happiness, excitement and worry. With so many aspects to consider and organise as well as finding the best suppliers to fit within your budget, often couples can feel overwhelmed and stressed about it all. Here’s where the new search tool from The Wedding Calendar can help make planning your wedding a more pleasurable experience. Neil de Villiers, founder of The Wedding Calendar, explains exactly how the novel tool works and what couples and suppliers can look forward to. To begin, can you share how you previous experience has led you to set up The Wedding Calendar? As Managing Director of Blue Square Deals, we had provided deal platforms for some wedding related companies (this is where companies can list products and services at discounted rates) on their own websites. When these did not perform as well as we had anticipated, I started to speak to some experts in the wedding industry to ask for their advice on the subject. One of my examples, during these discussions, was of a venue that perhaps had a recent cancellation. The suggestion was that, when a venue has cancellations, they don’t have many ways to advertise availability, especially not at late notice. Without exception, everyone I spoke to agreed that this was indeed a big problem. Some even suggested that if there was a way for venues, and indeed any other wedding related service providers, to advertise their availability in a way that was easily accessible, then this would be fantastic and they would promote this to their contacts and members. The challenge to provide this type of solution was not an easy one. We spoke to as many service providers and venues we could to gain an understanding of how they worked, how they found now customers, and more importantly, how their customers usually found them. Finally we discovered a way to provide a real solution to this that we knew would work. In fact, the end result is far more exciting than we even imagined at the beginning. In your own words, what are the key advantages for suppliers of enlisting their business into your new directory? The simplest way to describe The Wedding Calendar is to see it as an availability listing of venues and wedding services. This is where these venues and suppliers will list what they do, where they do it, and most importantly, when they are available for hire. This means that couples and wedding planners can very quickly find venues and services that are available on the date of their choice. In fact, we believe that instead of taking weeks to find available services for their wedding, couples (and wedding planners) will now be able to do the same tasks within minutes. Due to this convenience factor that The Wedding Calendar will now bring to the industry, this is set to become the wedding planning tool of choice over the next year or two. Can you explain how the calendar feature works? The Calendar element of the website is the most powerful part, because it provides a very simple way to find venues or services on the date of your choice, very quickly. Using a range of filters for each category and tag, couples can see immediately the listings available within their date range (eg. a list of entertainment options available from March- May 2016). In addition, a selection of different displays is available – you can select a day, month or a posterboard listing (which is what we show by default on our calendar) or a basic list, according to personal preference. Clicking on any listing, regardless of view, will take you to the details of that service, where all the information and contact details are available, including links to other websites, review sites, etc. This means that as soon as you have identified that someone is available, you can contact them and reserve them immediately for that date. If you want to tell someone about it, then you can easily share it (sometimes family members are drafted in to help find services, etc.) using email, Twitter, Facebook or Google+. On 21st January 2016 you launched the Wedding Calendar through a lavish event at Donnington Manor Hotel. What were some of the highlights of the day? The day was more than I had expected, and everyone that attended left with a thorough understanding of exactly how it all worked, as well as all the features. We started with Bradley Osborne, an accomplished guitarist who had previously been signed for the Columbia record label as part of an Indie band, who entertained us with a number of cover versions of current pop songs. These two speakers brought home the difficulties both sides of the wedding ‘fence’ experience in a very real way that the audience could easily relate to. 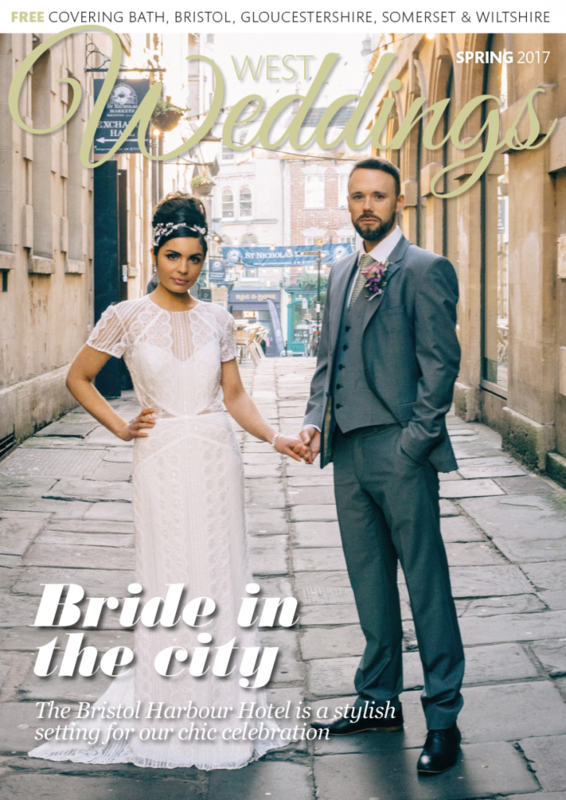 This sparked a fantastic Q&A discussion the possibilities of how The Wedding Calendar could and would be used by couples planning their weddings, as well as professional wedding planners, expanding significantly on our initial expectations of the benefits. As a directory service, how does the Wedding Calendar fit within the industry? What unique features does it offer suppliers and clients? Each member of The Wedding Calendar will have their own private calendar to maintain. This is where they will update their availability as and when it changes. The power of The Wedding Calendar is how these individual calendars then all feed into the central calendar, and it is the central, combined calendar that is presented on our main website. While the complete central calendar is displayed on our website, each member can very easily display their own private calendar on their own website too. The benefit of this is that they can show their own availability on their own website, and these dates will match The Wedding Calendar main site. Automatically, their availability is shown in two places — great for marketing! Additionally, we are able to show a filtered listing of services and make that available to be placed on any other website. For example, we are able to filter our central calendar to show all venues and services in Cornwall, Summerset and Devon, and make this available to be placed on the West Weddings website. People coming to your website would then be able to find available services and venues in those counties directly from your own website, but services from other regions would not show. Another very interesting feature that The Wedding Calendar introduces is the ability to ‘subscribe’ to a calendar. When you ‘subscribe’, you effectively add the calendar to your own calendar application, such as a Google, Outlook, or Apple Calendar. This means that services and venues can subscribe to their own calendars, and have a convenient listing immediately available, even on their smartphone. What this means for wedding planners is even more unbelievable. As we know, every wedding planner will naturally have their list of preferred suppliers and venues. They will now be able to subscribe to the private calendars of these members individually, and immediately have their availability to hand, right on their own computer or smartphone, without even needing to visit any website and without even phoning their suppliers — imagine that! How does your service enable brides and grooms to have a stress-free planning experience? While I don’t believe that there is such as a thing as a 100% stress-free wedding planning experience, The Wedding Calendar will certainly reduce the number of hours spent searching for venues and services that are available on the date of your choice. One of the biggest stresses involved in planning weddings is the endless phone calls to lists of possible suppliers until you find someone who is actually available when you need them. A simple, two minute search on The Wedding Calendar will quickly identify who is available, leaving you with a far easier task of selecting your preferred choice from the list of available suppliers, rather than settling for the only one you have been able to find in hours of phone calls. Looking ahead, how do you envisage your service developing over the coming years? Have thought of ways to expand your list of suppliers? A common philosophy of marketing is to spread the word down many different avenues. This is just as true for The Wedding Calendar. The ability to place calendars onto various websites, whether it is the full calendar or a filtered version, means that it is possible to become embedded into The Wedding Industry very quickly. I am so excited with the possibility of being able to make a very real impact on reducing the overall stress levels of the wedding industry over the coming years. To help people involved in the wedding industry level out their streams of revenue, we have started a reward program, where we (financially) thank those members who spread the word about The Wedding Calendar on a continual basis. If we are worthy of speaking about, and are doing a good job for the existing members, it is likely that they would want to tell other people about it too. It is for this reason that we encourage our members to join our reward program too.